Rita has some very strong opinions about where fried eggs can go. 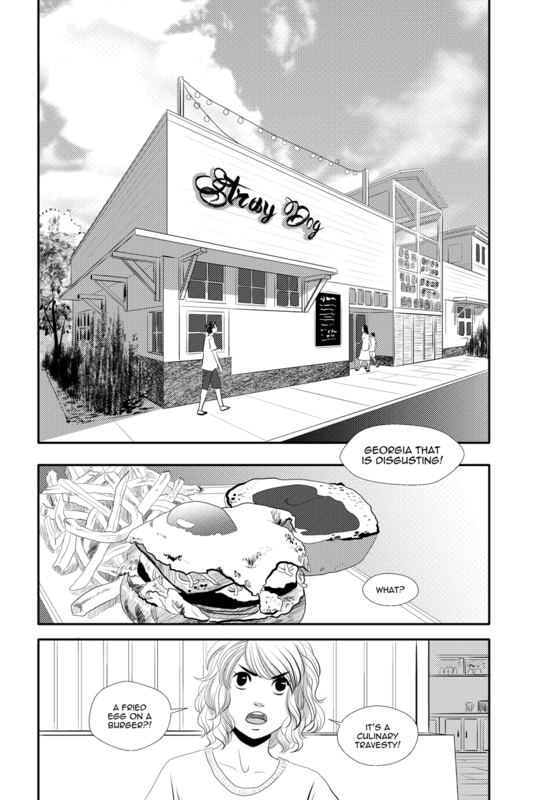 X’D Don’t forget there won’t be any updates next week since I will be enjoying a summer vacation with my family, but come August 14th is going to be a page I really like and have been wanting to share with you for some time. I hope you will enjoy it when I return! In the meantime you can also continue reading my reposting of Aura on tumblr! Also The Stray Dog is a real restaurant in Michigan. :O And to my knowledge they do not have a fried egg burger, but I’ll be going there again soon and maybe their menu has changed. I shall keep you posted. X’D Also also wick, I will not eat it if there is one. I agree with Rita on this one. Rita is wrong, fried eggs on burgers are delicious!! Rita if you’re gonna cry can you do it on the burger, it might need the salt. :3 Nom Nom! There’s not a whole lot of things that *don’t* taste good with an egg on top, IMO. No, Rita, it’s called a Royale. King of all burgers! Fried eggs are great on pancakes, too! I’m with Rita on this one. I like eggs, and I like burgers. but the two don’t mix well imo. I’ve never tried this combination, but I have to say that I’m curious. I enjoy culinary adventure! if you got a BurgerFi in your area they do sell them like that there. though I do believe their burgers taste way better egg free. Put an egg on it! It’s a culinary trend, Rita, you’re not up with the times. Hehe, seems like you guys/gals are divided on this. XD Personally I like fried eggs and I like burgers, but I generally eat them separately.